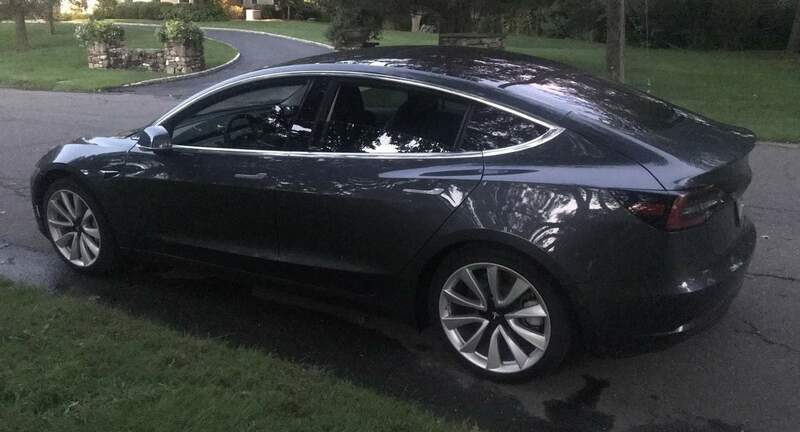 I traded in my Model-S back in March 2018 for a brand new Model-3, rear-wheel-drive, with 310 mile long range battery and all upgrades, including autopilot. I will add my Model-3 here to Turo this month. It is a beautiful Midnight Silver Metallic with Black Leather. I joined Turo to share this amazing vehicle and meet other people who want to learn and possibly own an electric vehicle. I am a small business owner and buy and refurbish homes and enjoy coaching kids and adults in bowling. I’m a father of four and was born and raised in the suburbs of Philadelphia. Search for me on Twitter at @87spider for my University of Richmond Spiders. My husband is a big Tesla/Elon Musk fanatic so when his birthday was approaching, I knew I wanted to surprise him in a different kind of way. Thanks to Tim and his Tesla, I was able to pull off the perfect surprise! Tim was so friendly, flexible and easy to work with throughout the entire rental process. The night before the rental, Tim had messaged me saying he was getting the car washed in preparation just for us - talk about service! The next morning, we met with Tim who spent 30-40 minutes showing us the ins and outs of his Tesla and all the different features. As someone who knew nothing about Tesla’s prior to this, even I was impressed! Throughout the day, Tim checked in to see how our adventure was going and was readily available if we had any questions. When it was time to drop the Tesla back off, we met with Tim again and he took the time to ask about the car, our day and make casual conversation. It was definitely a one of a kind experience and I can’t thank Tim enough for providing us with his Tesla! I highly recommend the Tesla itself of course, but also renting through someone as easy going, kind and flexible as Tim was. It’s now only a matter of time before my husband buys his own Tesla! Tim was awesome to work with and I would rent again from him any day. He was kind, patient, and easy to work with. I got the car as a surprise for my husband who is a Tesla enthusiast and Tim really got into it. The car was clean and is super cool. He spent a lot of time going over the car&apos;s features and was available by phone throughout the day if we had questions. Thanks for this awesome gift my husband won&apos;t forget! Tim is a great guy. Best car rental experience you can have. Tim was great to work with. I valued the experience.